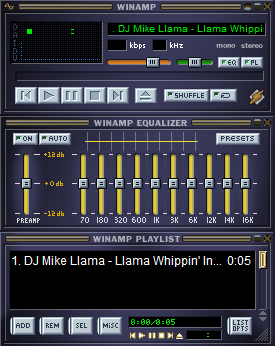 If you had a PC and you listened to MP3s in the late 90s, chances are you managed your playlists with Winamp. Since then, Nullsoft sold Winamp to AOL (the parent company of TechCrunch) for $80 million and online music has changed quite a bit, but there was always something reassuring about the fact that Winamp was still hanging in there. So much for that. Winamp is shutting down. The website and all of Winamp’s web services will shut down on December 20 and the desktop player will no longer be available for download. While AOL kept Winamp going – it released an Android version in 2010 and Winamp Sync for Mac, including a full player, launched in 2011 – there was never a clear sense of what was going on with the product. The Winamp blog, however, hasn’t been updated for the last year and judging from Ars’ portrait of the company’s fortunes from 2012, it seems like AOL never quite knew what to do with it. If you still want a copy of Winamp, now is the time to download it and to import those MP3s you downloaded from Napster back in 1999 into it.